Mark Reckless MP with local hero James Hargreaves. Photo copyright: Medway Messenger. 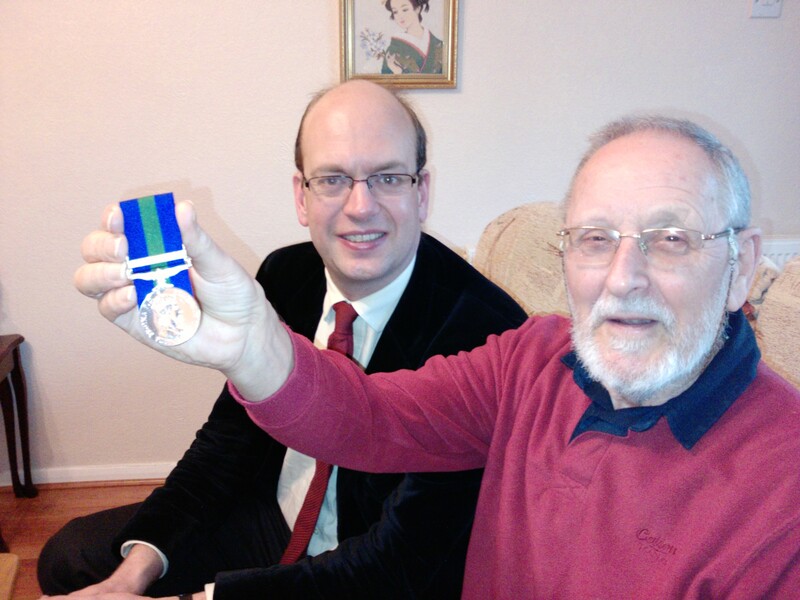 Mark Reckless MP was delighted to present local hero James Hargreaves with his GSM Medal with clasp Near East after taking up his case with the Ministry of Defence (MoD). James, of Cliffe Woods, had previously been unable to get the MoD to accept his claim for the medal following his service with the 40th Field Regiment Royal Artillery during the Suez Crisis in 1956. Mr Hargreaves sailed out from Cardiff on the US ship S.S. Kingsbury to the conflict zone with a small complement from his Regiment. Although the ship was on the list of those eligible for the GSM with Near East clasp, the MoD had previously turned down James’s request for the medal as the deployment was not shown on his service record. In a bid to resolve the situation James turned to Mark Reckless to help break the deadlock with the MoD, and Mark was more than happy to take up the case on behalf of his constituent. After contacting the Medal Office asking them to review Mr Hargreaves’ case, the MoD wrote back to advise they would look into the matter. 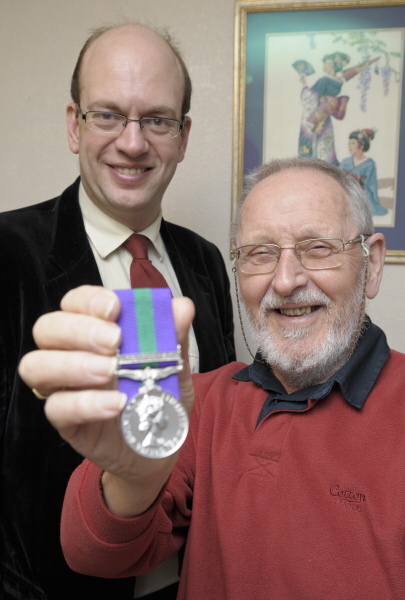 Shortly thereafter the MoD confirmed that, following Mark’s intervention, they had agreed to issue the medal to James for his service during the Suez Crisis. “I was absolutely delighted when I heard that the Medal Office had agreed to issue Mr Hargreaves with his GSM with clasp Near East. Mr Hargreaves had tried for a long time to get the Ministry of Defence to review his claim for the medal, but had had no joy in doing so and subsequently asked for my assistance. I was able to write to the MoD as Mr Hargreaves’ Member of Parliament to insist they look into the case, and I am glad to report that the matter has now been resolved to my constituent’s satisfaction. Being able to help people like Mr Hargreaves was the primary reason why I entered politics. Casework is a large part of the role of being an MP, and I am honoured to be in the position to help a local hero like James gain the recognition he so richly deserves. “I’d like to thank Mark most sincerely for his help and assistance in procuring my GSM and clasp Near East. I am sure that without Mark’s help I would still be trying to obtain it. George Osborne and Liam Fox yesterday announced that a Conservative government will provide university and further education scholarships for the children of servicemen and women killed while on active duty. These scholarships will pay for the full tuition fees and other costs as they study at vocational college or university. This policy will apply from day one of a Conservative government – and it will also apply retrospectively to the children of all military personnel killed since 1990. This will provide reassurance and financial help for the families of servicemen and women killed while serving in Iraq, Afghanistan, Kosovo, Bosnia, Northern Ireland and elsewhere. The scholarships, which will cost a maximum of £1.5 million per year, will be fully funded from the £455 million annual Widening Participation budget. They complement existing Conservative measures to support the military and their families, including doubling the operational allowance to £4,800 for a six-month tour, and piloting a Mental Health Service for veterans who have been deployed on operations. Shadow Defence Secretary Liam Fox added that this was “a clear sign” of “our commitment to the Military Covenant”. I don’t want to intrude on the Labour party’s private grief, so I will instead respond to Sir Hugh Orde, President of the Association of Chief Police Officers (ACPO) who, for some reason, has taken it on himself to lay down what should happen regarding Islam4UK’s threatened march through Wootton Basset. Sir Hugh is quoted today in the Telegraph as saying that the extremists “have the right to march … people might not like it but that is the law”. Leaving aside whether that is consistent with the postion Sir Hugh took as Chief Constable in Northern Ireland, my first reaction is what on earth has it got to do with him. Sir Hugh Orde heads an organisation which is a private company and has never been given any right to seek to interfere with police operational decisions, any more than it has a right to determine police policy. By saying he would be “surprised” if they were to block the protest, Sir Hugh applies quite inappropriate pressure to Wiltshire’s Chief Constable, Brian Moore, and his excellent deputy, David Ainsworth, with whom I worked when he was an Assistant Chief Constable in Kent. Sir Hugh is always terribly keen to assert the independence of chief constables when there is any suggestion that they should do what someone who has been elected wants, yet here he is sticking his nose into their operational decisions. 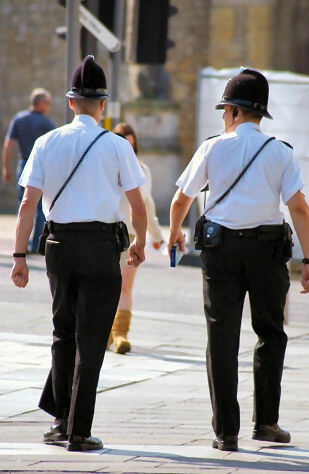 (1) If at any time the chief officer of police reasonably believes that, because of particular circumstances existing in any district or part of a district, the powers under section 12 [imposing conditions] will not be sufficient to prevent the holding of public processions in that district or part from resulting in serious public disorder, he shall apply to the council of the district for an order prohibiting for such period not exceeding 3 months as may be specified in the application the holding of all public processions (or of any class of public procession so specified) in the district or part concerned. (2) On receiving such an application, a council may with the consent of the Secretary of State make an order either in the terms of the application or with such modifications as may be approved by the Secretary of State. Contrary to Sir Hugh’s view, the police in Wiltshire therefore do potentially have the power to ban a march – if the democratically elected local council and the democratically elected Secretary of State agree with them. Further, it is far from clear that Sir Hugh can rely on the Human Rights Act in support of his view that Islam4UK should be allowed to protest at Wootton Basset in the manner threatened. Section 3(2)(b) states very clearly that the act “does not affect the validity, continuing operation or enforcement of any incompatible primary legislation”. We will shortly be asking the electorate for a mandate on what needs to be done to make the police properly accountable to the public they serve. Sir Hugh’s comments emphasise just how overdue that is. 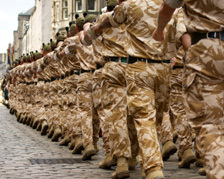 David Cameron has helped to launch Tickets for Troops, a new initiative which offers the Armed Forces free tickets to big events including football matches and top music acts. The Conservative leader first announced his ambition for this scheme in July 2009, and Tickets for Troops has since been set up as an independent not-for-profit company with huge support from the sports and entertainment worlds. Tickets have been donated for top football and cricket matches, boxing contests, snooker, horse-racing events, theatre, and both classic and rock music concerts around the country.